Zadar is a city monument with an exceptional history and rich cultural heritage, almost as an open air museum. Zadar is most famous for its Old Town which is set in a peninsula and surrounded by historical ramparts. Explore this treasury of the archaeological and monumental riches of ancient, Roman and medieval times, Renaissance and many contemporary architectural achievements such as the first Sea Organ in the world and famous Greetings to the Sun. Visit Zadar and soak up its relaxing and pleasant atmosphere in some of the lively streets with numerous restaurants, bars & shops. Meet the famous Zadar sunset which also amazed the great Alfred Hitchcock. 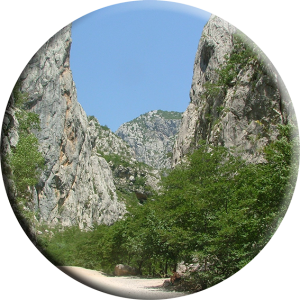 Paklenica National Park is situated in the Zadar region area and only 40 km far away from here. Visit the impressive canyons of Velika and Mala Paklenica, vertically incised into the southern slopes of the amazing Velebit Mountain and explore its outstanding karst phenomena and beautiful flora and fauna that exist in the Park.Paklenica is considered to be among the most famous European climbing centres with over 400 climbing routes of various difficulty levels and length. Less ambitious visitors can enjoy hiking as there are numerous hiking paths marked. 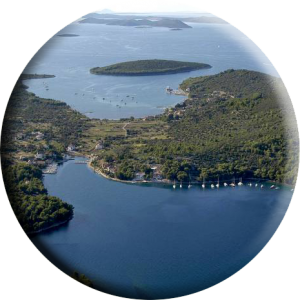 The beautiful island world of Zadar archipelago with hundreds of islands and only 17 permanently inhabited lays across the town. This amazing world is taking over an area of 600 square kilometres, from big islands such as Dugi otok (Long Island) to those you walk across in half an hour such as Ošljak or the Franciscan Školjić. Pag and Vir are connected to the mainland by a bridge, Ugljan and Pašman are islands connected by a bridge. They are picturesque and diverse, from the 150-metre cliffs created by the striking of the waves to gentle kilometre-long coves. They are all localities of fishing tradition, seafaring, trade, olive growing and in the recent century – tourism. Visit some of them and find your personal beach between dry stone walls and rich Mediterranean vegetation. See for yourself the spectacular shades of blue and green colour of the island sea. The Kornati National Park is one of Croatia's most stunning national parks with 89 unforgettable islands, islets and reefs stretching along the central part of the Croatian Adriatic. 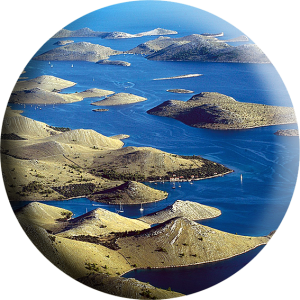 The islands are famous for their uniqueness and beauty as Kornati islands represent the densest island group in the Mediterranean Sea. They are practically uninhabited, covered with sparse vegetation and surrounded by beautiful turquoise waters. 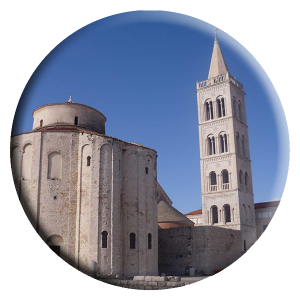 You definitely shouldn’t miss the unique opportunity to visit this miraculous archipelago as there are regular organised tours from Zadar.